Legian lies just north of Kuta and shares the same easy access to shops and bars but has a far more relaxed and less hectic feeling than the main island. Those looking to take it easy will enjoy the slower pace of Legian away from the party atmosphere of central Bali allowing you to enjoy the natural beauty of the island. The northern area of Legian that borders Seminyak offers an escape from the crowds of Kuta and is popular as a surf beach. Whilst there is not a great deal of organised tourist attractions, this leaves you free to explore the island at your leisure and discover the "real" Bali. 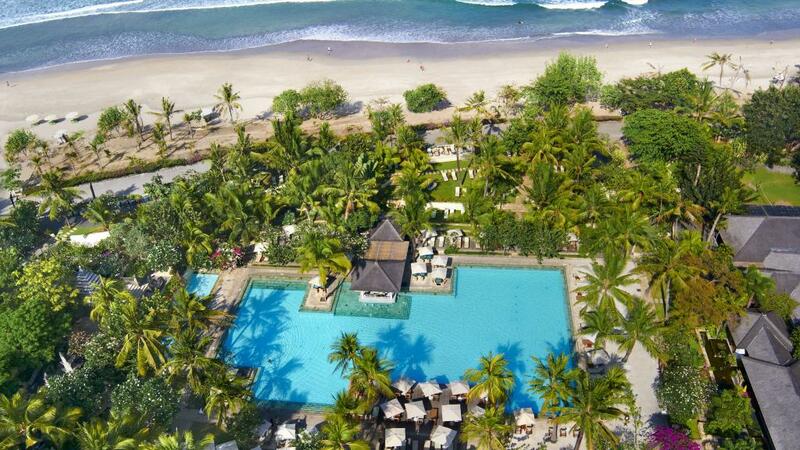 Most visitors to Legian stay, shop, eat, drink and relax on the beach. Legian beach is one of the best in Bali for viewing Bali's stunning sunsets. Informal massages, manicures, pedicures and hair braiding are all available as you relax on the beach. Spa treatments are one of the more popular ways to spend your time in Legian especially as services are so well priced and much cheaper than you would find at home. A plethora of spas offer basic therapeutic massage and Javanese 'lulur' body scrubs. If you really want to indulge, why not try a 'rempah and honey' treatment or traditional massage followed by a body mask of honey, clay, flowers and roots. A selection of spas also offer treatments using virgin coconut oil. Legian is full of shops offering the latest designer surfwear as well as Balinese souvenirs you can take home. Jalan Padma is especially good for beads, shell work and small trinkets. These make excellent gifts and keepsakes to remember your trip by and can be picked up for just a few dollars, depending on how elaborate and intricate they are. The weather in Legian is warm but relatively mild with daytime temperatures falling between 20C - 33C (68F - 93F) year round. December to March is when the west monsoon can bring heavy showers and high humidity, however the days are often still sunny and these showers are only brief. June to September the humidity is low and the evenings can get quite cool. Hardly any rainfall occurs in lowland coastal areas at this time. Most of Legian can be covered on foot however motorbike rentals and taxis are everywhere and are a great way to get around the island if you're pressed for time or have the whole family. Bali Taksi is Bali's largest, most reputable and reliable taxi operator and offer a 24 hour call service so you'll never be stranded, not matter the time of day or night.